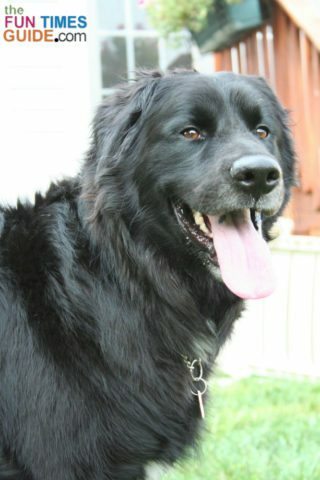 Our dog is part Black Lab and part Golden Retriever — at least that’s our vet’s best guess. We found him as a tiny pup, so it’s difficult to know for sure. But he definitely has the looks, personality, and behavioral characteristics of both — a Labrador Retriever and a Golden Retriever, combined. 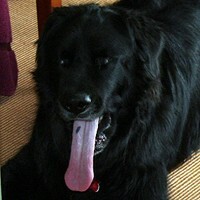 He also has 2 black spots on his tongue. We first noticed a black spot on the back of Destin’s tongue at about 1 year of age. Then, by the time he was 3, we noticed another one. I don’t know if the second one just “showed up” or if it was always there. Chances, are we just never noticed it before, because as he got older, his tongue got bigger and he started doing that tongue-stretching yawn even wider, which made it easier to inspect his tongue. Black spots on a dog’s tongue are simply “beauty marks”, similar to freckles on people. They are merely places that have extra pigment than other places on the tongue — that’s all! Consider it your dog’s own birthmark. 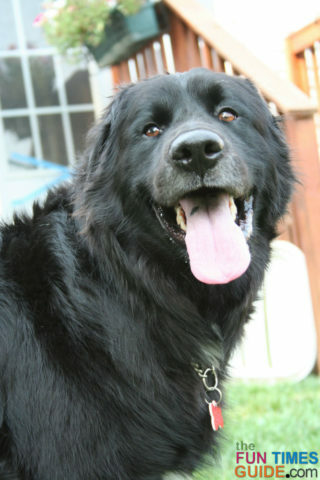 So, a black spot on your Labrador’s tongue does not mean he’s really a Chow mix. Lots of other animals have black tongues too, including the giraffe, polar bear, and several breeds of cattle. 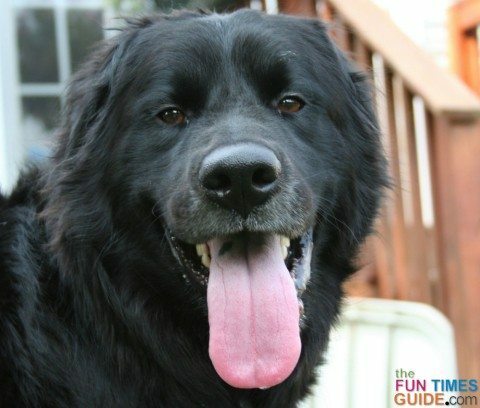 See… black spots on your dog’s tongue are nothing more than a birthmark. It’s just another thing that makes your dog unique — not Chow. 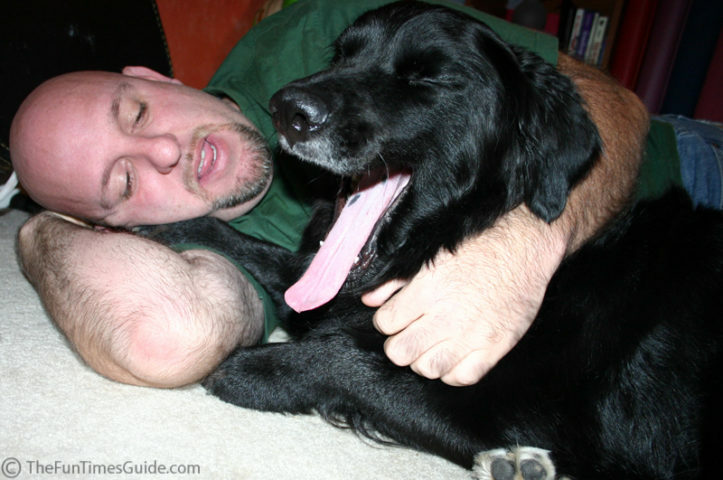 Check here for some interesting information about a dog’s tongue — in general.